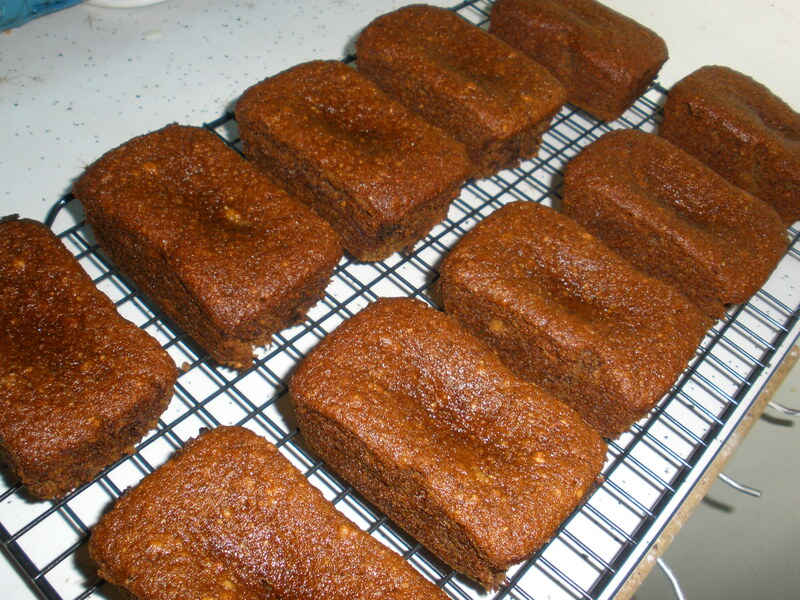 For quite a while now I have been looking a recipe to make a banana bread that is similar to that sold at Boost Juice. By chance I came across a recipe in Borders, which included hazelnut meal in the ingredients. As I hadn’t yet tried a recipe with hazelnut meal in it, I wondered if this could be the key, but I was unwilling to purchase a cook book for just one recipe. 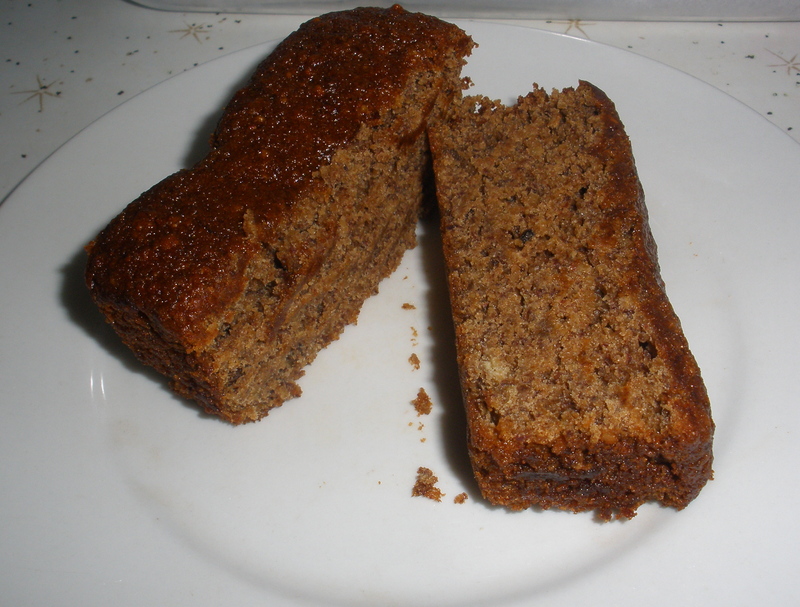 Instead I decided to search the internet and came across this recipe which claims to be a “Gloria Jean’s” style banana bread. Now I’ve never tried the banana bread from Gloria Jean’s, but since the recipe included hazelnut meal I decided to give it a whirl. 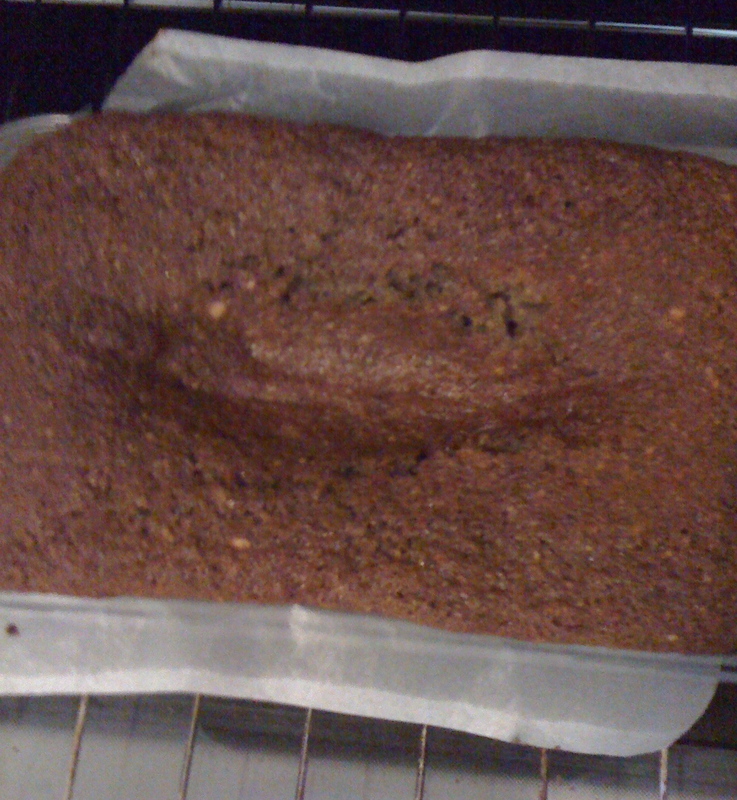 On the first attempt I discovered that the loaf tin I had was too small but I decided to bake it anyway, and ended up with a sunken but tasty banana bread. I decided for the second attempt I would try out the mini loaf pan I had yet use but I misread the recipe and added the brown sugar to the dry ingredients by mistake. The third attempt at this recipe turned out beautifully. After all that, it’s not much like the banana bread at Boost Juice, actually, I think it’s better. Preheat oven to 170C. Grease and line a 8xmini loaf pan with baking paper. Sift flour, bicarb soda and cinnamon into a medium bowl. Add hazelnut meal and stir to combine. Set aside. Using an electric mixer, beat butter and brown sugar in a large bowl until creamy. Add eggs, one at a time, and beat until well combined. In a separate bowl mash the bananas. Add golden syrup and vanilla extract and give it a quick stir. Add half of the flour and half of the banana mixture to the creamed butter and beat until just combined. Repeat with remaining flour and banana mixture until combined. 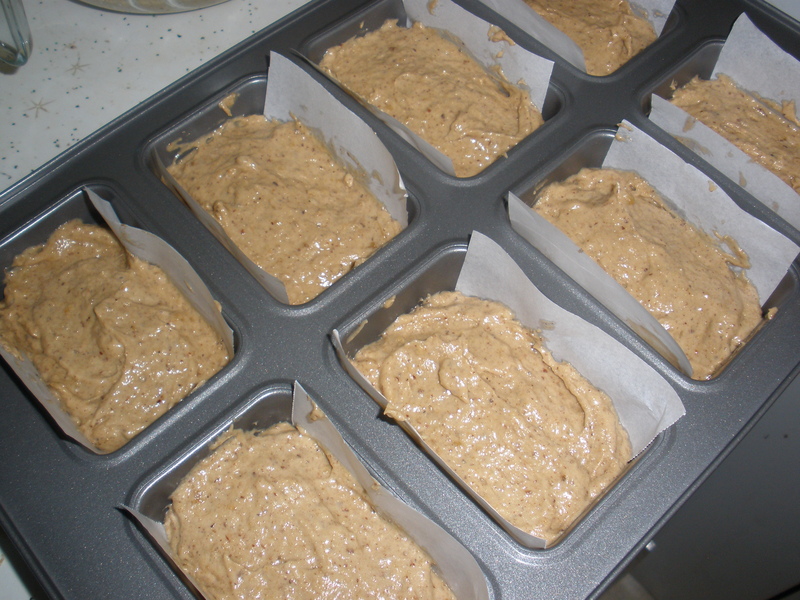 Pour batter into prepared mini loaf pan, filling each mini loaf 3/4 full. Bake for 30 – 35 minutes, or until a skewer inserted comes out clean. Allow to cool in pan for 5 minutes before turning onto a rack to cool completely.